My quilting life "on the road" traveling full-time in an RV with my husband of 48 yrs. 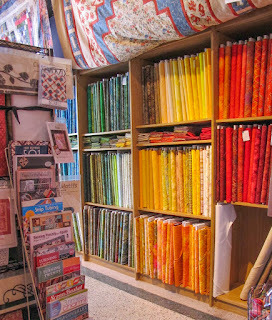 the stores that had been there for many years had to close. 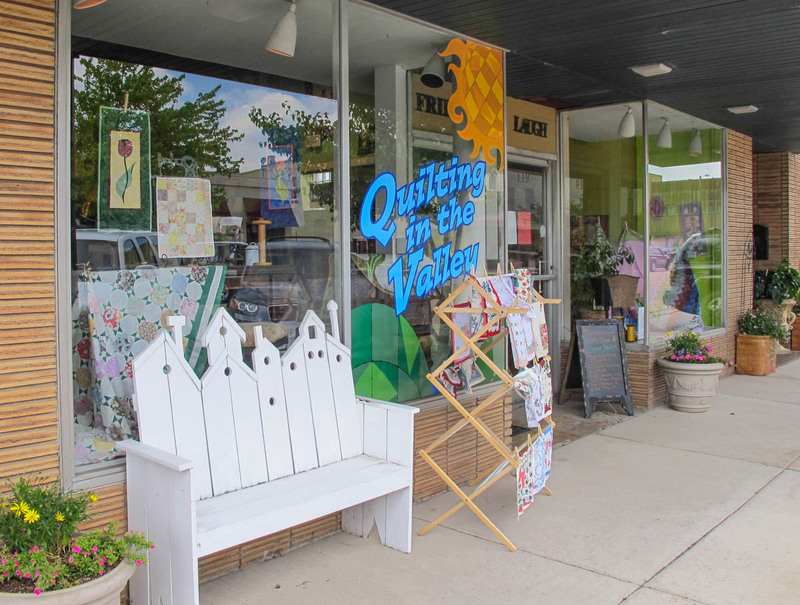 Currently there is an effort being made to revitalize the downtown. 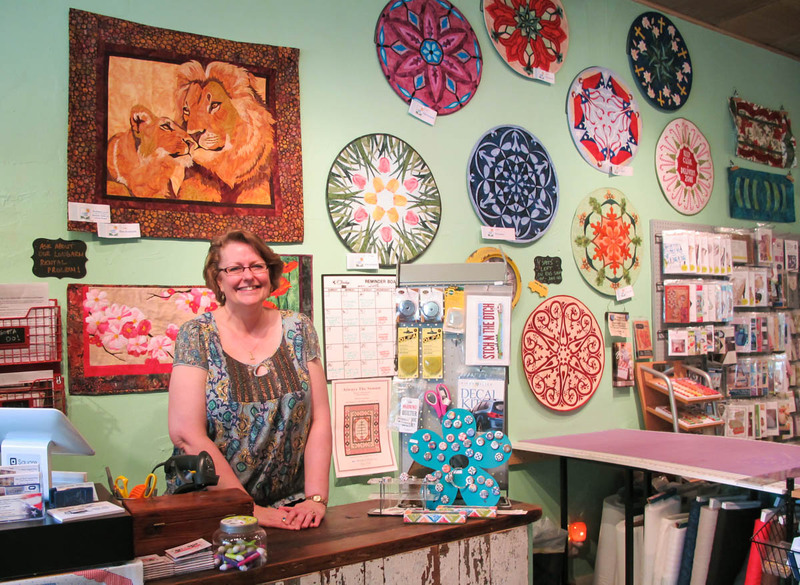 A new and vibrant quilt shop is helping to bring that about. 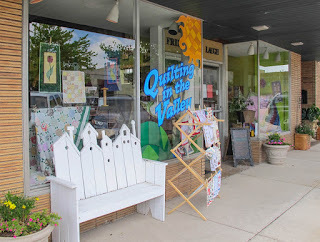 QUILTING IN THE VALLEY opened its doors this past December. 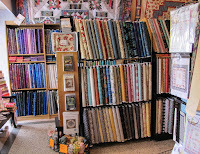 cottons plus patterns and notions, she also offers classes and longarm quilting. 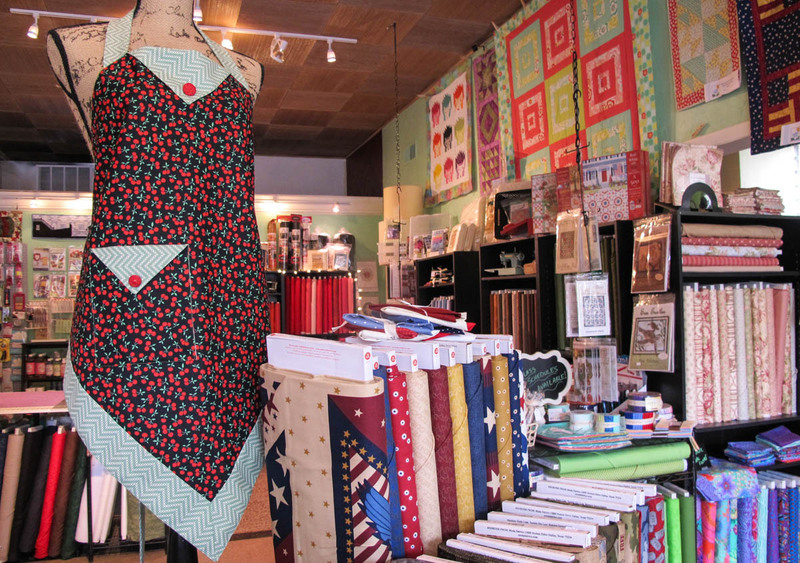 And as if that isn't enough to keep her hopping, in September the shop will add a Bernina sewing machine dealership. Note the mandala style table topper designs by Laurie Tigner displayed on the wall behind Lisa. 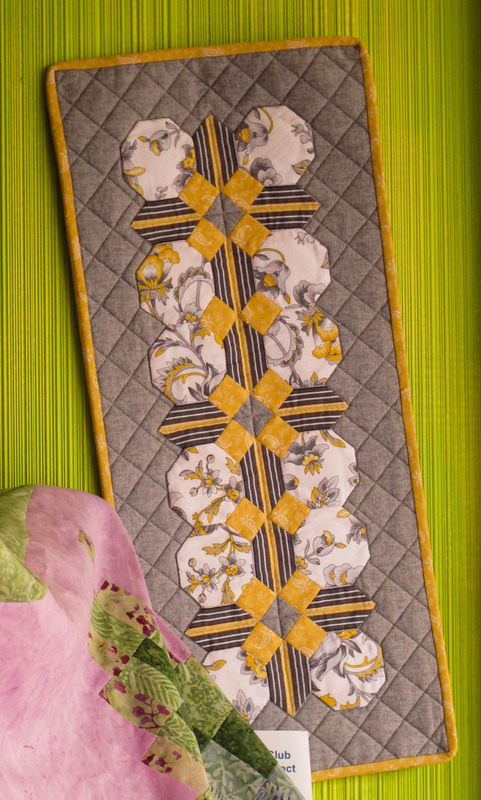 Intricately appliqued, the patterns are made easier using the raw edge technique. The autumn design really appealed to me. To Lisa's right on the counter is a display of Quilt Dots magnets. 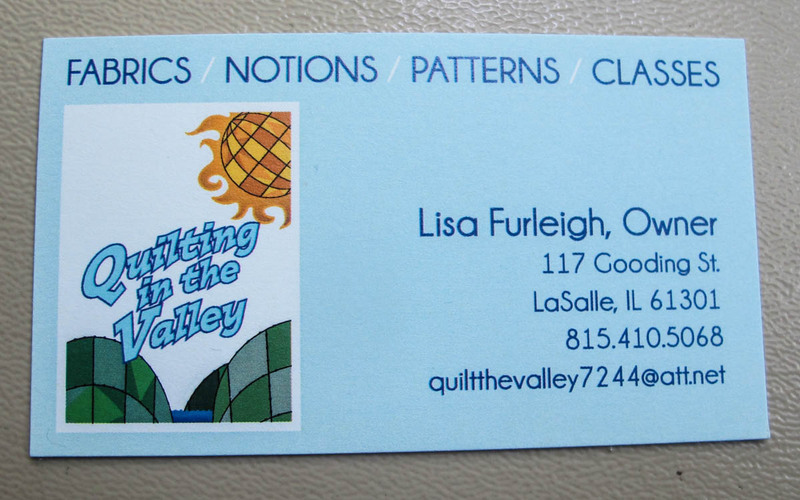 I purchased one of the necklace magnet bases and 3 of the magnetic "dots" featuring Judy Niemeyer quilt designs. 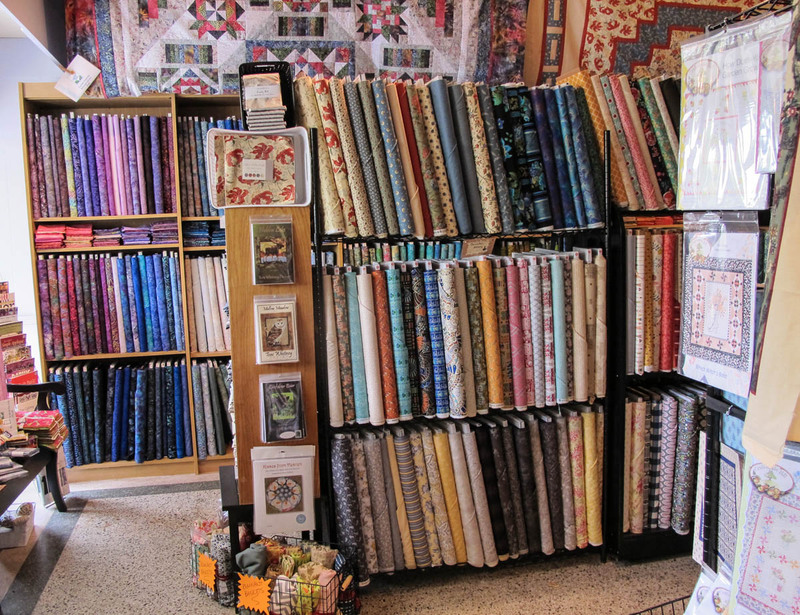 has a good supply on hand. to market and was excited about new things she had seen and purchased for the shop there. New classes are constantly being added including Block of the Month quilts. 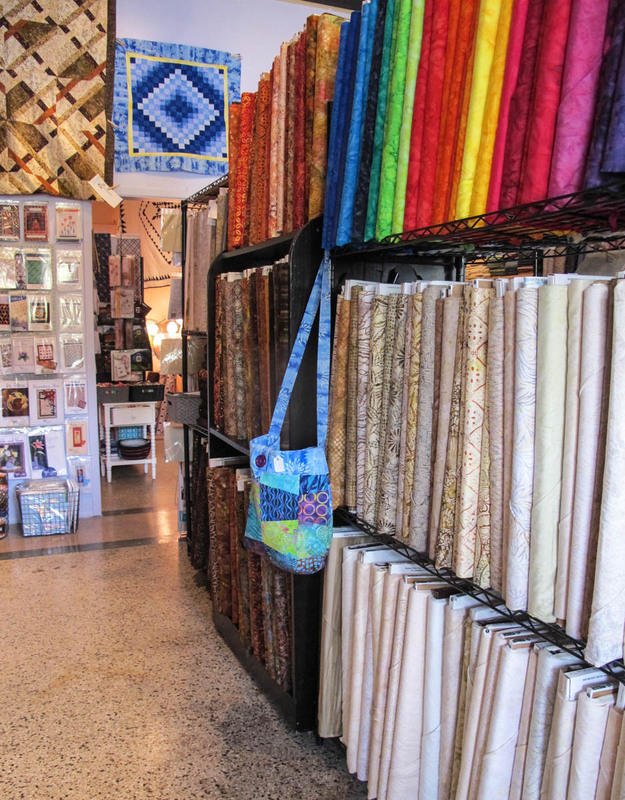 A website for the shop is in the works.